As of February 26, 2019, the Medicines and Healthcare products Regulatory Agency (MHRA) has published an update of the guidance note regarding the regulation of medicines, medical devices, and clinical trials if there’s no Brexit deal on March 29, 2019. In a serialization project, the accountable QA expert is key across the whole process to mitigate risks and ensure permanent alignment with the applicable quality system and authorities requirements. In depth discussion on pharma digitalization and how it’s influencing the future of medicine in labs around the world today. Each passing day brings the pharmaceutical industry closer to the inevitable deadline of February 9, 2019 and the enforcement of serialization, track and trace and reporting requirements imposed by the European Falsified Medicines Directive (FMD) 2011/62/EU to many stakeholders at different levels of the pharmaceutical supply chain. Adents is pleased to delve into the UDI market for Medical Devices, joining forces with Keyence and DNE Consulting. Blockchain's capabilities will impact all industries and business value will therefore increase, according to Gartner’s latest Trend Insight Report on “Blockchain-Based Transformation”. The EU pharma industry loses the equivalent of nearly 7% in sales per year due to counterfeit drugs which amounts to 26,9bn Euros annually. New technologies like Blockchain, Triage bots and artificial intelligence (AI) will transform our approach to healthcare and provide opportunities for the pharmaceutical supply chain. Serialization and track & trace processes generate a huge amount of data and pharmaceutical manufacturers need to have sufficient, secure and reliable data storage capacities. Data will need to be indexed and accessible for authorized personnel. The Adents Serialization Summit provides a unique, collaborative forum for pharmaceutical leadership, and technology experts to discuss serialization and traceability in the pharmaceutical industry. Pharmaceutical serialization and track & trace compliance requires time, effort and investment. Keep the hassle to a minimum with the right serialization solution and a knowledgeable vendor. If analyzed wisely, serialization data analyzed through new technologies can help optimize supply chain processes and even build personalized connections with patients. A new communiqué from the European Medicines Verification Organisation stresses the urgency for pharmaceutical companies to intensify compliance efforts regarding the Falsified Medicines Directive (2011/62/EU). The European Medicines Verification Organization (EMVO) encourages pharmaceutical companies to set up their connection with the EU Hub as soon as possible to avoid bottleneck situations. To make the pharmaceutical supply chain safer and ensure patients get the medicines they need, the Russian Ministry of Health intends to put in place serialization and aggregation requirements for drugs. In June 2017, the Drug Regulatory Authority of Pakistan (DRAP) has published its pharma supply chain requirements, making complete track& trace of each unit of sale and shipment compulsory by December 2020. The Pharma CMO Summit in Lisbon in June was a good opportunity to touch base with the market and exchange news on serialization readiness-among CMOs. To fight against this scourge, the European Union (EU) has put in place directive 2011/62/EU or Falsified Medicines Directive with which pharmaceutical manufacturers (whether MAH or CMO) as well as their supply chain partners will have to comply by early 2019. Serialization experts talk in levels. This helps them to break down and define the different components of serialization solutions and customer needs. The Cloud platform of choice for European pharma authorities, Microsoft Azure will help pharmaceutical companies go beyond compliance. If you are producing for the Saudi Arabian market, you need to be aware of the SDC to ensure your pharmaceutical products are cleared and get import permits through the Import and Batch Release Clearance System (IBRCS). In Brazil, serialization of pharmaceutical products and reporting to a national, centralized hub will be mandatory as per law 13.410. Serialization: Why Should you Rethink your Current Solution? Changing the paradigm of drug serialization: bottom-up vs top-down. Why you should rethink where you start analyzing your needs. Brexit – a bitter pill for the pharma industry? The impact of Britain leaving the European Union or ‘Brexit’ negotiations is unclear. Where does this leave the pharmaceutical industry and what is the potential impact on the different players: pharma companies, CMOs, patients? A Level 3 serialization application needs to have certain key functionalities to ensure the solution is durable. While serialization projects look daunting, there are answers and solutions to make things go as smoothly as possible. The latest industry report on "Pharmaceutical Serialization & Traceability 2016" has been published. Are Packaging Line Print-and-Verify Systems Mission-critical? New drug serialization requirements will soon make make packaging line print and verify mission-critical systems. It’s time to invest in serialization! 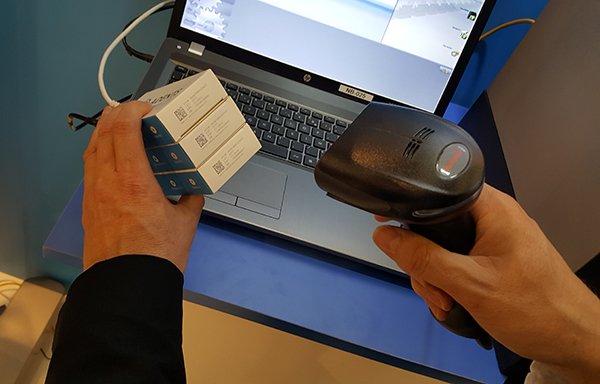 Serialization requirements following the implementation of the DSCSA in the United States or the FMD in Europe will raise new security concerns. Serialization regulations have set the way forward for major changes in the pharmaceutical industry which will gradually lead to a fully fraud and counterfeit-proof global supply chain.